If you are going to use an electric chainsaw, it is important to understand that this tool like all other power tools needs to be operated in a safe manner to avoid injury to yourself and anyone neat where you are using it. 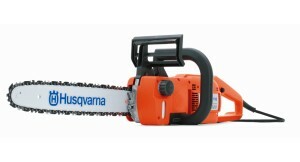 Note also that we are not necessarily promoting the type of chain saw portrayed in the picture. It just happens to be the one we selected to add color to our post. This is an excellent chain saw. It will do just about anything the average home user will need for small trees and shrubs. A small chain saw for yard work trimming trees is an excellent tool to have. As long as you have electricity, you are good to go. These are powerful tools and can rip through flesh in a second if not handled properly. 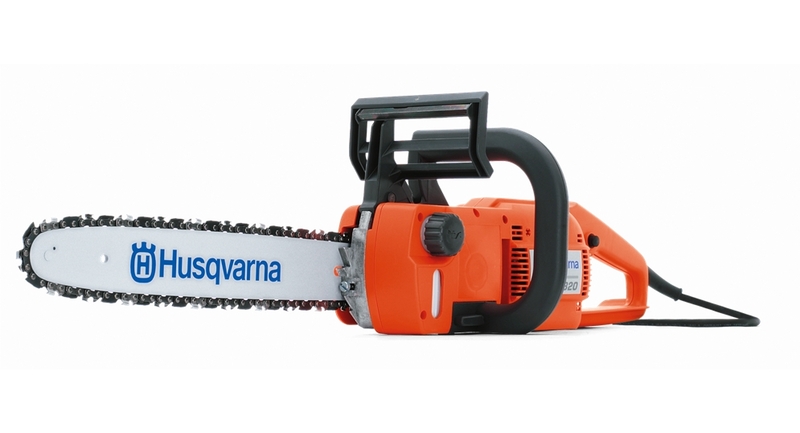 We suggest that consumers purchase the most powerful electric chainsaw available when they are making their purchase. A more powerful chain saw will ensure that you can deal with just about any size tree or shrub that you may find on your property. It can be a bit tedious trying to saw through something when you do not have the power you need. Also make sure that your electric extension chord delivers the maximum power to your chainsaw. Your manufacturer will state what kind of extension chord that is needed to operate your electric chainsaw properly. Always wear safety glasses, a hard hat, leather gloves and safety footwear to ensure that injuries are prevented or at least minimized. I have an electric chainsaw and it works very well for small trees. However I would never use it for a large tree on my property. The simple reason is that I would be concerned about the tree falling in the wrong direction. It could either hitt my home or perhaps the fence or even my neighbors home. These are large trees that stand at least 50 feet high and could do a lot of damage if they fell on something they were not supposed to. This decision really has nothing to do with whether I have a gas powered chainsaw or an electric one. I would just prefer to be safe, so I use my chainsaw on the smaller trees and the shrubs. It is also very useful for trimming branches off the trees that are beginning to encroach on the yard, the fence or even the house. Each year I cut some off in an effort to trim them and the electric chain saw is perfect for this job. It also means that I do not have to store gasoline at home for the chainsaw. This website is all about saving the homeowner and the consumer money on their maintenance costs for the home as well as operating costs on a monthly basis. We decided to tackle a common issue more and more people are dealing with – WiFi vs. Data Plans. Most cell phone or mobile subscription plans require that you sign up for a data plan. In fact unless you turn your data off on your phone, you could incur huge monthly bills for accessing the Internet and just updating your apps if you do not have a data plan or unless you use WiFi exclusively . If you must access data for app update , Browsing the Internet, getting your email, and downloading music or movies on your phone then you must have either a data plan with an unlimited amount of data that you can download or you must turn off your cellular data so that you do not incur any data charges. If you do not believe this try using data for a month without a data plan and prepare to be shocked. If you can purchase a smartphone without a cellular data plan, make sure you turn the cellular data off to avoid any unnecessary charges. There is a solution to turning your cellular data off. 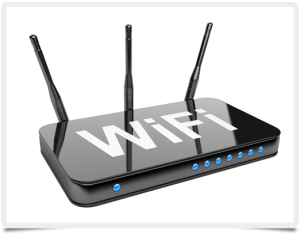 Using WiFi wherever it is available is usually sufficient for most people unless you must have real-time access all the time. WiFi is now available in most hotels, coffee shops, home hardware stores, and even some laundromats. It is amazing how much free WiFi is available. WiFi is becoming more available all of the time and it is usually free. There is a down side to free WiFi. Security issues can be a concern and also if you using WiFi at a hardware store for example, they are learning information about you. what products you are looking at, the area of the store you are in, time of day to shop and on and on. They can also have access to your email and social networks if you chose to use them. This is a great way to reduce your monthly charges from your cellular carrier and still have access to the Internet for all the things that you like to do from a smart phone perspective. Most high-speed modems for consumers now come with the option of WiFi as well as a wired Internet connection. Most people will turn the WiFi on and make it available to their friends and families. Whenever you’re visiting someone always ask if they have WiFi available and ask if you can connect to the WiFi system to browse the Internet and retrieve your email. These private systems should always be protected by passwords that are not easily broken. This is for your protection as well as the protection of your host as well. 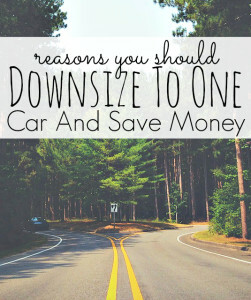 Downsizing to one car from two cars in a family can save you a great deal of money on your monthly bills while at the same time making it more difficult to coordinate everything that you’re doing within the family especially if you have two or even three or four drivers in the family. Yes you may spend more gas because your car is always going to be on the road. But it will still cost much less overall since there will be less insurance and maintenance to be concerned about. On the plus side you save all of the expenses associated with the car. For example there’s no monthly payments. There are no maintenance and repair charges, no license fees, no insurance fees and you’re only driving one car. There is less gasoline that you’re spending. The big item is that the car is being devalued over the time that you own it. So now is the time to sell it and recover as much money as you can. 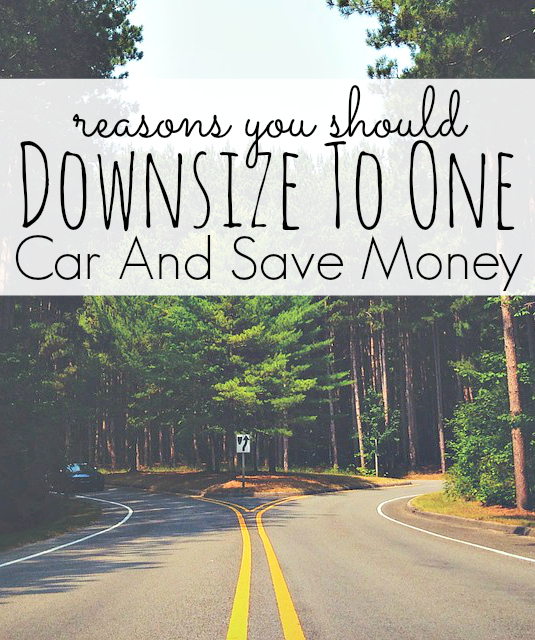 One last point is that when you downsize to one car, you reduce the amount of car insurance that your pay. This can amount to $500 or more a year depending on the age of the driver. Also where you live, whether someone drives it to work or not and the type of car that you drive. On the negative side of downsizing to one car, is that there is much more competition for the car from multiple drivers. A lot more coordination must take place in terms of getting everybody to where they have to go. This is particularly true for families with children who are engaged in various activities, or working outside the home. When you downsize to one car you must coordinate and make sure that you have a schedule for everyone so that you can get people to where they need to be. And if you combine trips you can actually reduce the amount of gasoline that you would have spent and used compared to having two cars on the road at the same time going in the same direction. Another savings opportunity is the reduction in your insurance particularly if you have teenage drivers. If for example one of the drivers is designated as a driver on a car your insurance will be much higher, however if you are the sole designated driver for car and the teenagers are the secondary drivers, your insurance is going to be much lower. The writer’s family has been driving one car for the past couple of years. Initially it was difficult and we had to really coordinate. But then we got used to it and the reduced expenses associated with having one car instead of two made up for the inconvenience that we have. Occasionally one of us will have to drop the other off. Then go on do other errands etc. but this is a small price to pay compared to the amount of money that you can save by downsizing to one car only. For more cost savings ideas, click here. Did you dress to get the best deals this morning? Everyone knows that you dress well for interviews to make your best impression and get that all important job. You want to look your best and make a positive impression on the person who will interview you. The first 30 seconds often makes the impression that will count with the people who will interview you, some times before you even open your mouth to say hello. They will observe how you are dressed, whether you are well manicured, whether your hair is neat and tidy and whether your clothes are great looking. They do not have to be expensive, but they have to be great looking, they have to be clean and they have to match. Dose the same apply when you are looking for a great deal when you are buying something? How about a car, a home or purchasing furniture? Assuming that you are going to negotiate the best deal you can, what is the impact of buying something when you look your best? How much will you pay? We happen to think that you should dress down to get a good deal. Again first impressions make an impact on the sales person and the person who approves the deal. If they think you are well heeled they may not be quite as willing to lower the price in order to close the deal. There are many factors that go into whether you can negotiate a better deal. We just happen to think that if you dress expensively, you are going to pay more than the guy who is not dressed as well. Why would they cut you a deal when you look like you can afford it? Look like you do not have $$$ to be able to afford the deal. Remember that the sales person wants to close the deal. They want to make a sale and they want to extract as much money as they can from you. If they think that you can afford it in addition to really wanting whatever you are buying, chances are they will hold out based on the feeling that you can afford it! If you look well off they will ask for more. It is that simple. What do you think about this idea. Have you tried buying something at different stores based on how you are dressed? Try negotiating for the same product at two different stores. 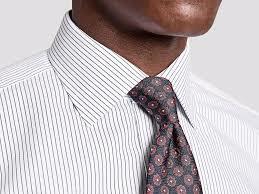 See if the way you are dressed makes a difference in the price you are offered. You may be surprised at how much less you pay when you are well dressed compared to when you are not. This only works of course where the price is negotiable. The person you are dealing with must have the authority to negotiate. If you are dealing with some who does not have the authority, ask to speak to someone who does. Then see what happens! It does not always work, but often enough it does and you save money as a result. The holiday season is over and all of the credit card bills have arrived to give us that holiday hangover we get every year. If you do not pay the balance in full, these credit cards will trigger interest charges to the level of 17% or even higher for store credit cards. These interest rates are high and generate a lot of extra cost to those bargains that you might have got when you made your purchases. Anyone who only pays the minimum payment is paying almost all interest and very little principle. As a result your charges next month for interest will be about the same or higher if you charge more to your credit card. Always pay down your credit card debt or do not spend the money if you cannot pay this debt off immediately. Another approach if you really must make these purchases is to use some of your savings which is only generating may be 2% income compared to the 17% that the credit card companies are charging. Some consumers like to use a line of credit that is secured with the equity in their home. When you secure a loan with a home, the interest rate can be very competitive. It is a very good idea to use this line of credit to pay off your credit cards with this line of credit. When you are paying something in the order of 4% on a line of credit it only makes sense to pay down your debt on your credit cards using the line of credit funding. The danger of course is if you run your line of credit and your credit cards up to the maximum, you are really in trouble, since now you have nowhere to turn. Using a line of credit really requires a lot of discipline to make sure that you pay down this debt on a regular basis and do not allow it to build up beyond what you can afford. Many people will purchase a car and take out a car loan when they do. As we write this, car companies are offering zero interest rate loans for up to seven years. In situations like this if you have any other loans that have an interest rate above zero pay down these loans first, before you pay down your car loan. Otherwise always pay down debt that has the highest interest rate first. Consumers know they should pay down debt and they also know that they should save for retirement. Both are incredibly important, the more so as you get older and your earning power goes down or at least enters the fixed income area. I hear lots of seniors complaining that they are now on a fixed income. This is no surprise, they should have known that they were going to be on a fixed income and planned for it. We think that paying down debt is important; with retirement saving being even more important. Develop a financial plan that tells you how much you need to save to get you were you need to be financially. Then implement that plan to ensure that you are financially stable when it comes to be retired and live the life style that you would like. Your financial plan should also include paying down debt that you may have whether it is a mortgage, car loan, personal loan or credit card debt. Include any credit line that you may also have. Consumers should get a handle on their financial plan that leads to retirement early in life. If you do the easier it will be and the better off they will be when they retire. Start saving early in life. You will not need to save as much each month compared to someone starting in their 40’s. Begin saving for retirement in your early 20’s, in fact as soon as you start working with the rest of your surplus money going towards paying down debt. We normally talk about how you can save money by doing things yourself around the house. However we felt that this topic was so important that we wanted to post it here on this web site. If you can get your monthly budget under control and develop some savings, you will be at far less risk of losing your home. 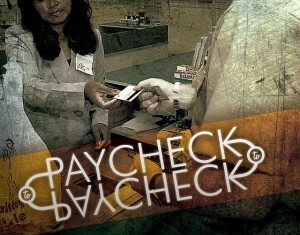 Living pay cheque to pay cheque can also be very stressful. Saving money around the home will make it much easier to survive a job loss. Read on and let us know if you have comments that would assist our readers. 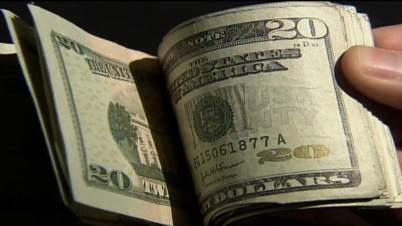 This is your emergency fund that you can rely on when a financial emergency occurs. The results of the survey follow and it is a sobering message for many Canadians. Almost 60 per cent of Canadians live pay cheque to pay cheque and say they’d be in financial difficulty if their pay cheque were a week late. Almost half of respondents to a national survey said they are saving five per cent or less of their income. Financial planning experts generally recommend a retirement savings rate of about 10 per cent of net pay. They should also hoard three months’ worth of expenses in an emergency fund. Although they don’t appear to be having much success doing so, 60 per cent of respondents said they were trying to save more money than they used to. The remaining 40 per cent said they were not trying to save any money. “The most significant result of Canadians continuing to live pay cheque to pay cheque is its impact on their personal finances and retirement,” CPA chair Cindy Forget said. Younger workers feel especially vulnerable. 65 per cent of respondents aged 18 to 35 saying they would find it difficult to make ends meet if they missed a single pay cheque. In case US citizens are reading this and feel that they may be better off than Canadians, think again. You have just gone through and are beginning to come out of a major recession which Canada pretty much avoided. You need to adopt these savings approach even more than Canadians, since jobs are more difficult to come by in the US than they are in Canada. If the past 4 years was bad enough, hopefully we all have learned that having some free cash available when you have an emergency can make a huge difference in your life. In some cases having that emergency savings can mean the difference between putting food on the table or not. 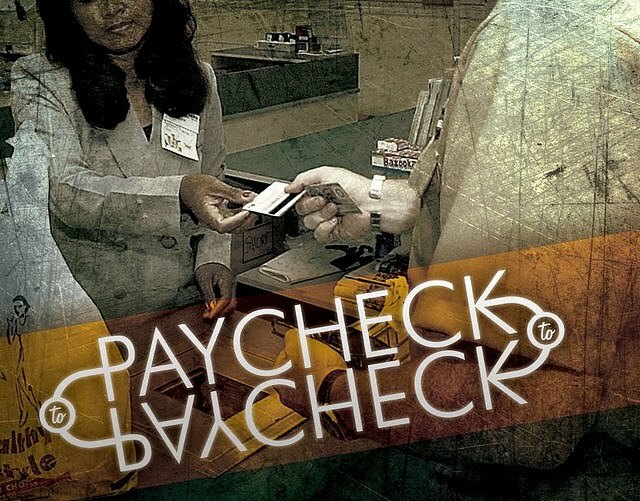 If you live pay check to pay check, and your pay check stops for some reason, there is no money to pay the bills or even buy groceries. Start saving now! For more cost saving ideas, click here. Well the holiday season is pretty much over and the bills are starting to come in for all of those gifts you charged to your credit cards. It does not matter if it is Christmas, Valentines or just a big birthday party. If you do not pay these credit card bills right away, the interest is going to start and the credit card companies charge a lot! Their interest rates can be as high as 29% for store based credit cards and 19 to 20% for bank based credit cards. Of course, the best way to avoid these expenses is to not buy them in the first place, however for most of us this is just not realistic. So Pay your Bills after the Holidays on time before the due date. This site is about helping people save money and we usually do not talk about credit cards. It is more focused on do it yourself projects, and methods to reduce the operating costs for your home, however given the time of year we thought it would be appropriate to introduce this subject. You might have worked all year long to save money on various projects, kept the heat low or turned the air conditioning off only to pay a lot of interest on a credit card balance you really did not anticipate. Many bank credit cards will charge up to 19% interest on unpaid balances, while store credit cards sometimes charge as much as 29% on unpaid balances. That is a lot of interest and it can take a long time to repay even a small balance especially if you only make the minimum payment each month. In keeping with the objective of the web site, we would like to encourage our readers to really make an effort to repay your credit card balances as quickly as possible to avoid losing all of that money in interest charges. You can reduce your heating cost, your air conditioning and your hydro usage only to lose all those savings in a few months to added interest charges. Even if you have to take out a small personal loan to repay your credit card balances, you will be ahead of the game since you will pay a much lower interest rate than what you will pay with your credit card. We cannot emphasize this enough. One last thing about paying your bills after the holidays. Make sure you pay them by the due date or a few days before the due date to make sure you do not trigger interest charges as a result of missing the due date by one or more days. I have had this happen to me. I missed the due date by one day because the bank I deal with took 3 days to transfer the money. I ended up paying an additional $30 in interest charges, because they calculate the interest due on the full amount for the full time period since the item appeared on my credit card. If you get caught like I did, you can try to get the bank to refund this charge, however it did not work for me. You might think that the bank was in error and they should have refunded the money to me. Well if you read the fine print, it says next business day for most transaction and a specified period to transfer funds to an external company from your bank. I always allow 3 business days now to transfer money to pay bills I have and this is the minimum. If I am concerned that it might take longer due to holidays and increased business, I will send the money even sooner to pay my bills on time. Paying bills around Christmas time and other holiday periods mean that it takes longer to process payments. Always allow for this extra period when you are paying your bills to ensure you meet the due date and avoid any penalties or additional interest charges. For more cost saving ideas to save money around the home, click here. Have you watched any of these shows lately called, Extreme Couponing”? We have watched a few and are amazed at the amount of money that these people save. Now many people look for discounts and coupons since it can save them a great deal of money. Sometimes they buy a thousand dollars worth of food and end up paying a couple of dollars for the food items they are purchasing because of the coupons they collect and use. They end up with many items of the same thing, and I guess that is ok as long as it will not spoil. Some even donate what they cannot use to charity which is a really great thing. They need to have lot’s of storage since they are buying many things on special with these coupons. It has sparked another kind of problem. Apparently because of these shows, there are people now who are rummaging through garbage bins on garbage day and collecting coupons that people are throwing out. Others are collecting coupons by stealing them from the inside of newspapers before they are delivered. This is clearly wrong and we do not condone this method as a means of saving money. There is a lot of money to be saved and there are sufficient coupons for everyone. I am also not sure that the stores really want this type of savings through mass coupons, unless it is good advertising for them as well. Still, if you can collect coupons, it is a great way to save money on things you need. My neighbor recently received a coupon in the mail for Philips fluorescent lights. It had a value on it of $3.27 and he figured that he would get a discount of that amount off the regular price. Instead when he got to the cash register, the $16.00 cost for three lights had been reduced to $3.27 for $12.73 cents savings. Add sales tax to that and it is even higher. What a great deal. On top of getting such a good price, he is also going to save money as well on his electrical usage! We are not big collectors of coupons, however after watching these shows and seeing what my neighbor saved we are considering saving coupons. It is a lot of work to collect them, sort them and then remember to use them at the grocery store. I used to think that only poor people would use coupons, but when you can save hundreds of dollars , why not use coupons? 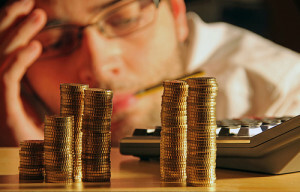 It really comes down to how much effort you want to put in to saving money. Now each country is different. Apparently in the US, coupons have a much greater overall value than they do in Canada. For some reason they are not used as much here and are not as popular. But as my neighbor demonstrated there are still lots that can you save you money. While you may not reduce a thousand dollars of groceries to almost zero, still saving a few hundred dollars is well worth the effort! 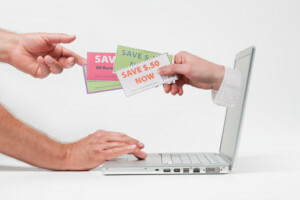 Coupons are also moving to online web sites. Consumers are using their smart phones to collect coupons now. At some grocery stores you must sign up as a user and then you will receive all the coupons electronically. Your usage will be tracked and coupons will be targeted more closely to your buying habits. We still have to explore how this works and plan to try it in the near future on our smart phone. 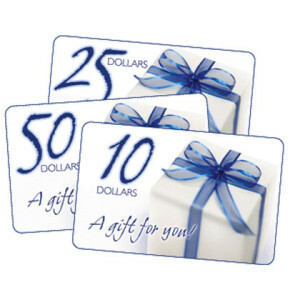 We are going to try out this approach shortly and will add a post about electronic coupons. If you have coupon stories let us know. I am sure our readers would love to hear about these money-saving deals too. Especially people who are using their smart phones to find deals and use coupons displayed on their smart phones at the register. 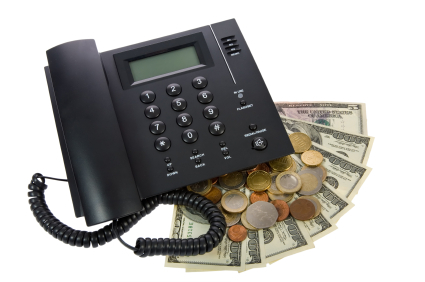 This was a big cost reduction that we just came across and it personally saved us $20 a month on our mobile cell phone costs. That is $240 a year that we saved just by making a call to our service provider! This site is about saving the average consumer money and this is an easy one to follow up on. Here is how we reduced our cell phone charges. My cell phone was pretty old and about to die due to a failing battery. It was time to renew my old cell phone and as always for me at least this is a complicated task. What phone do I get, how much will I pay, how much talk time is there, how much standby time and what features should I get. Do I want a smart phone or just a regular phone? You can see were this is going, I try to avoid making this decision. Also when you do call the mobile company , they always want to review your plan to see if they can sell you more features or a more expensive phone. I dread this because really what I want to do is to decrease my costs nor increase them. This time was different. I started by telling them that I was thinking of moving to another carrier which immediately got their attention. They send you to the RETENTION desk at this point and this is really who you want to talk to. They can make decisions and offer discounts to help you make a decision to renew your service contract with them. Twelve money losers and expenses that home owners need to watch out for. We recently saw an article about this subject and decided to put our own spin on this list of hidden money expenses and losers. Two more were added which we think would be of interest to our readers as well as potential money saving ideas. For each of the items below we have estimated the cost for the average person or family and summarized this cost at the end of this post. It is pretty amazing. Do your own calculations if any of these situations apply to you to see how much money you might save if you were to reduce or eliminate the charges for these items. This is a tougher one to estimate, however if you eliminate one feature that you do not use and save $5 on cable and $5 on your phone services, that is also $10/month and $120 / year. Check out your service packages to assess what you use and whether you can eliminate any services that you do not use very often or not at all. We recently replaced our water heater at a cost of $700 and purchased the unit. Previously we had rented the unit at $14 / month. At this rate it takes us a little over 4 years to pay for the upfront cost. From then on we save $14 a month for as long as the hot water heater lasts! Most people do not pay ATM fees when they withdraw funds from an ATM at their own bank. However it gets very expensive if you make a WD at another banks ATM. Some charge as much as $4 per WD. Let’s assume twice a week for a total of $32 / month and $416 per year. That is a lot of money you can save by avoiding this charge. Use your credit card or plan your money use to control these fees. Everyone wants to win the lottery, yet the odds are very low that you will win. You can check with your favorite lottery to find out the odds, however let’s assume you spend $5 per week. This adds up to $260 per year for a small weekly lottery purchase and many people purchase much more than this. Daily gourmet coffee can get expensive. Even if you purchase only one gourmet coffee at $4 per coffee, think about how much you can save if you purchase a regular coffee at say $2 per coffee. Some regular coffee is priced even lower. Assuming 5 days a week, your annual cost difference works out to $520! Think about how much better you would feel and how much money you would save if you gave up that pack a day habit. Prices vary, but we used $8 a pack to calculate the annual savings of $2920! Do you make these impulse buys? How often do they work out and you get the value that was advertised. If you resist, would it be the end of the world if you do not have this item advertised on infomercials? We assumed one a month at a cost of $30 per charge. Plug in your own numbers to get the real cost for you. This is a tough one to estimate. Experts feel that brand name products are often as much as $2 per item higher than non brand name products. We assumed that you purchase 10 items per week and could save only $1 on each item, not $2 to get and annual savings of $520, which we actually think is very low. Do you purchase internet access while traveling or when you are out somewhere. At an average of $5 this can add up. Some hotels charge as much as $15 per day. We assumed $5 once a week average for a total cost of $260. The total cost is pretty amazing, $6800 per year. You can really do a lot with all of that money. Plug in your own numbers and figure out how much you would save! Closing vents in unused rooms is a great way to save money heating or cooling your home. Closing the vents off and also the cold air return vents is a great way to save energy. Only heat those areas in your home that need to be heated. 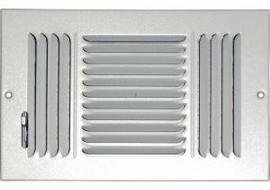 If you close the cold air vent return, make sure you have a hot air vent return close to the ceiling before closing the cold air vent. Older homes may not have a hot and a cold air vent return. If you are not using them, why heat them or cool those rooms? Remove all of your plants and anything that might be damaged by excessive heat or cold and save yourself some money. This is a great way to save money, however there is a smart way to shut the vents off. We would appreciate your comments as well, since we are always looking for ways to save money. There are a couple of things to watch however and take into consideration, especially in winter when it is below freezing. Any pipes with water in them will freeze and a leaking pipe can cause a lot of damage. If there are pipes in the room such as a bathroom, you pretty much have to heat that room to avoid any possibility of a frozen water pipe. Take this suggestion very seriously, because water can cause thousands of dollars in damage. On the other hand if you are trying to save money by cutting down on the air conditioning, you can pretty much shut off any vents you want to avoid cooling more area and save on the cost of cooling. Always make sure that there is a clear area for air to flow in rooms you want to have cooled. There must be a vent delivering air to the room and a vent to return the air to the furnace for central air conditioned homes. If you do not complete this circuit, the air conditioning will not work properly. It may damage your air conditioning unit and cost even more. 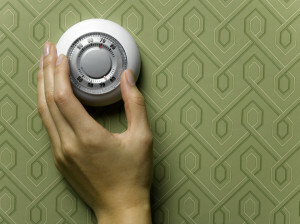 In order to effectively save money you must take into account the location of your thermostat. If it is in a room that you do not use and want to shut off from either heating or cooling you are out of luck. The thermostat will control the temperature in the room that it is in. This impacts the rest of the house. Shutting off the vents in this room is only going to cause the furnace to run longer in a heating situation. The same with cooling since there is no air circulation in the room. So leave the vents open in this room were your thermostat is located including cold air return vents and hot air return vents. This is another issue to take into account. 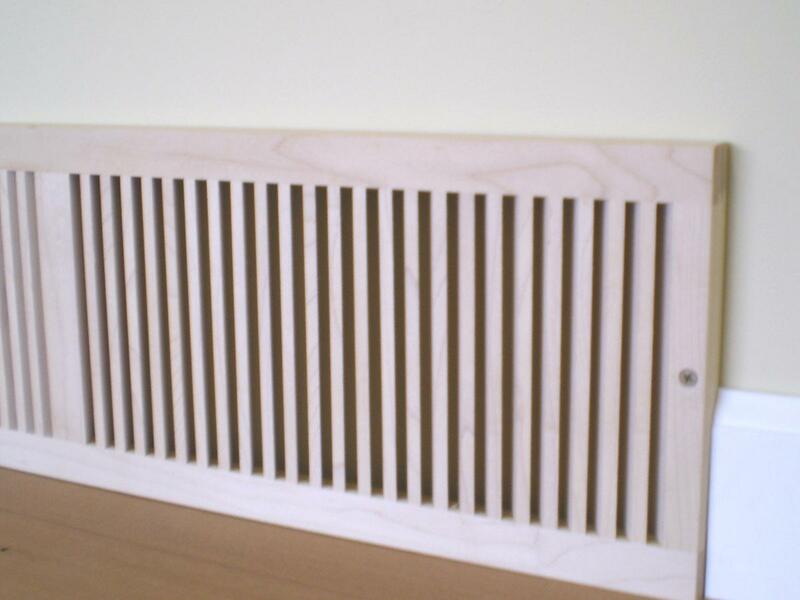 Most homes will have a cold air return vent located in all of the major areas of the home. For example, we have two downstairs, one in the family room and another in the living room which is the 2nd part of the house. In addition there are two more upstairs, one in the hallway and the other in the master bedroom. These vents must be left open for air to circulate properly. These vents are located in the same location as the cold air return vents. However they are located at the ceiling level instead of the floor level. In the winter time cold air settles to the floor. It is drawn into the cold air returns located at the floor. In the summer hot air floats to the ceiling. This hot air is drawn into the hot air returns along the ceiling. 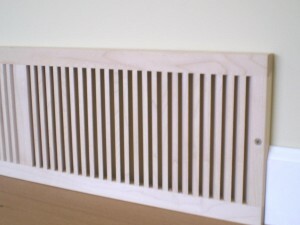 These vents should also be left open during the cooling season. However you can close them during the winter time. Similarly the cold air returns can be closed during the summer time and must be open during the winter. If you do not use your basement, shut the vents off in the summer time to avoid cooling this area as well. Be careful in the winter. Since there are lots of water pipes in this area of the home make sure they do not freeze in the winter time. As with all cost savings suggestions there is often a smart way to save money and another approach which could even cost you more. If you have any doubts leave the vents open,or get a professional opinion. Readers are encouraged to leave their comments and suggestions as well to help everyone save money. Spam comments will be deleted. This may seem like an odd title to write about for a blog that is dedicated to managing home maintenance costs. However when you think about it if you know were you spend your money, then you can make some decisions about what to spend and what not to spend. Developing a budget is one of the tools that can help you with this objective to manage your overall home costs. Get started and set a budget. Need vs. Want. 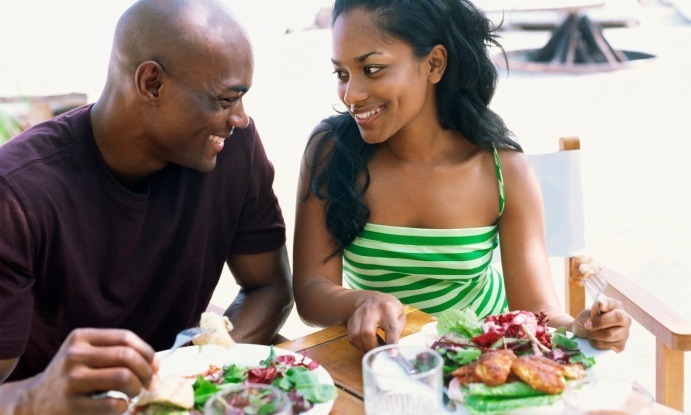 Evaluate whether the planned expense is something you need to have or merely want to have. There are probably many other tips and areas that should be considered when setting up a budget. Based on my own experience, these are the important ones. If you have tips of your own, please feel free to leave comments on our blog. Spam comments will be deleted. You probably cannot identify every budget item that needs to be included. We have listed some of the main ones for you to consider. Pay yourself budget – although this may be a small item, budget to allow yourself to spend some money on frivolous items from time to time. Clothing – plan your expenses around sales and updates to your wardrobe. Take advantage of sales to stay within your budget. School – folks with young children will need to set budgets in this area as well, particular for that back to school time frame. Sounds like a lot of work to set a budget and track it. It can be unless you keep it simple and really assess if you really needs things or just want them. It can be very rewarding at the end of each month to know that not only did you meet your budget, but you saved some money as well. Stick to your guns with the family as well and set a time each week to over how you are doing relative to the budget for the month. For more information about cost savings and set a budget, click here. 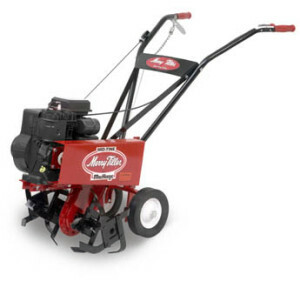 Should you purchase a rototiller or rent one, and what kind should you get. We have a garden that is roughly 10 feet wide and 20 feet long. It is too big to dig by hand although I have done it and this was really a workout, believe me. For those of you who are into exercise, digging up your garden by hand and then raking it and working the soil until it is pulverized and ready for planting will definitely give you a workout! On top of that you will also save money since you do not need to purchase a tiller or go to the gym. You save money which is the point of this website, however it is not really the point of this post. I have been renting a roto tiller for the past 5 or 6 years and have found them to do a really good job, they are small enough to fit in the trunk of my car and I only need the tiller for perhaps 2 hours. There are a couple of issues about renting a tiller. First how long you rent it and when you rent it can make a difference in how much you pay. In addition, you need to consider the size of tiller that you use, to ensure that the job gets done quickly and to your satisfaction. Last should you rent or buy. Renting RotoTillers – When should you Rent? Most places that rent equipment of this type to home owners as well as construction people, have standard rates and there is really not too much negotiation that you can do regarding the price. However there is several little tricks that you can use to make sure you pay the minimum. First they will usually rent for a minimum hour time, sometimes it can be for 2 hours and then you pay be the hour after that. For example the tiller I rented was $16 for the first 2 hours and then $3 for each hour after that. If you can get your job done in 3 hours or less you are going to pay $19 and that is not too bad. I always try to go in just before closing and rent my equipment for the minimum time frame. This way I would pay $16 for the tiller, yet I would have it for a full 24 hours instead of just two hours. Now you need to be able to get your work done in the evening, since it does get dark early depending on were you live. Another good time is just before a long weekend. The shop is usually closed for the holiday , so you might it lucky and have the equipment you are renting for a full 48 hours at the 2 hour price. Now that is a deal! Size of the Tiller you should rent? Always make sure you rent a tiller that is large enough to do the job. A small tiller will take you longer to cover the area that you are working up, as well it may not be heavy enough to really dig into the soil if it has dried out and become hard. This was my case, and my light tiller would only work into the soil about 4 inches. I would have liked to go deeper and have before, but this year the soil is dry and hard. WE simply did not get enough snow this year. A larger rototiller would have been more difficult to transport. It would have been heavier and possibly would not have fitted into my trunk. However I know a heavier tiller would have done a better job in this case. Even though it would have been more expensive to rent, I would rather use it to do a better job. So do not go for the smallest tiller if you are looking to work the soil to a deeper level. It will also complete the job quickly. They are more powerful and heavier so they will go deeper and work faster. Should you rent or buy a rototiller? I have been renting a tiller for the past 5 or 6 years. I have to say this is the best approach for me. Each time it costs me about $25 with taxes to rent the tiller. I have spent approximately $150 over the past 6 years. This does not come close to what a new one would cost. Now I tend to keep my tools a long time and maintain them. I know that a roto tiller would definitely pay for it self over the long run. However I only use a tiller once per year for maybe 2 hours at a time. Gas can go bad and gum up the carb. Iit just is not worth it for me to purchase my own rototiller. For larger gardens it might well be worth while to have your own. You would probably use it more often and then it makes it all worthwhile. So save yourself some money by renting a rototiller. If you really want to save money work up the soil by hand. The job will be almost as good, and you will really get a lot of exercise. That is it for this post. If you like this post, leave your comments and suggestions for more posts. We area always trying to save some money for everyone and we look for great new ideas.